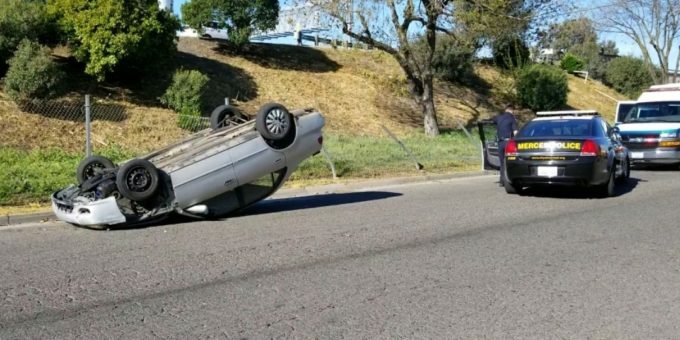 On April 12th, 2019 at approximately 8:45 a.m., Merced Police officers and Riggs ambulance responded to the area of 14th and Canal streets for an overturned vehicle. The woman had managed to get out of the vehicle before officers arrived at the scene. Medical crews provided aid to the woman, no other occupants were in the vehicle. The woman was taken to a Merced Hospital with non-life threatening injuries. The collision remains under investigation. No further information was available.